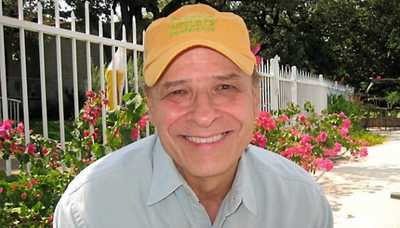 Official Army photographer Ron Haeberle traveled with Charlie Company into My Lai on March 16, 1968. 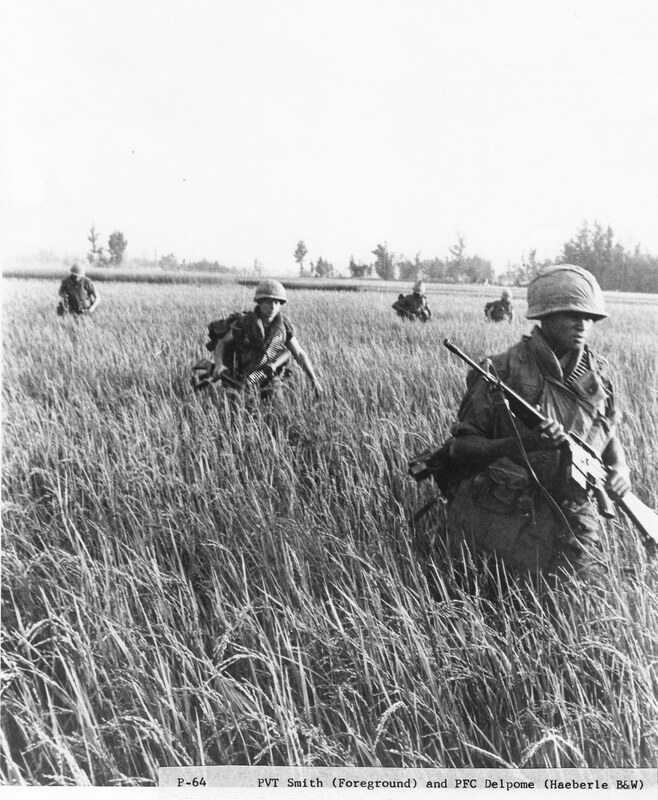 The Company was told that dozens of Viet Cong troops were passing through the area, retreating from battle after the Tet Offensive. 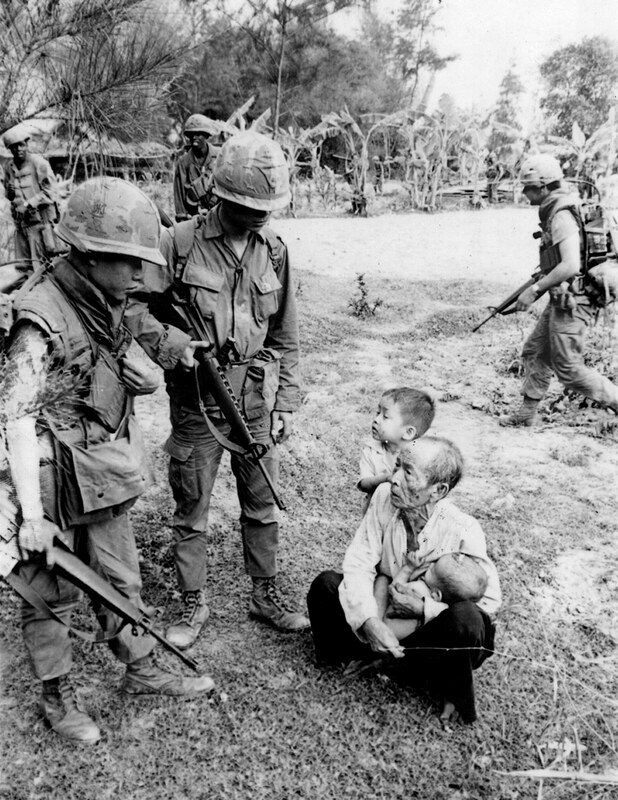 Captain Ernest Medina had told his men that all Vietnamese remaining in My Lai after their arrival would be Viet Cong members or sympathizers. 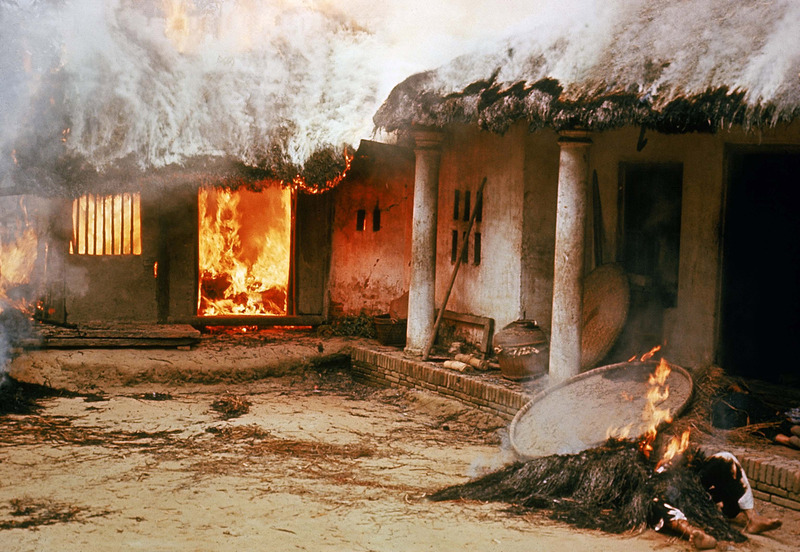 Following the massacre, during which between 347 and 504 civilians were killed, the story remained largely out of the public eye until the media published Haeberle's photographs in November 1969. 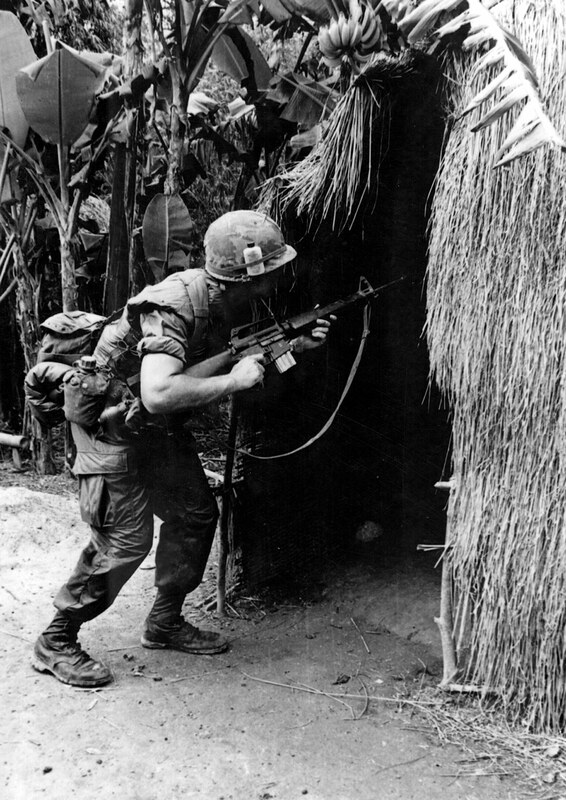 These photographs would became key evidence in the Army's five-month investigation led by General William R. Peers. 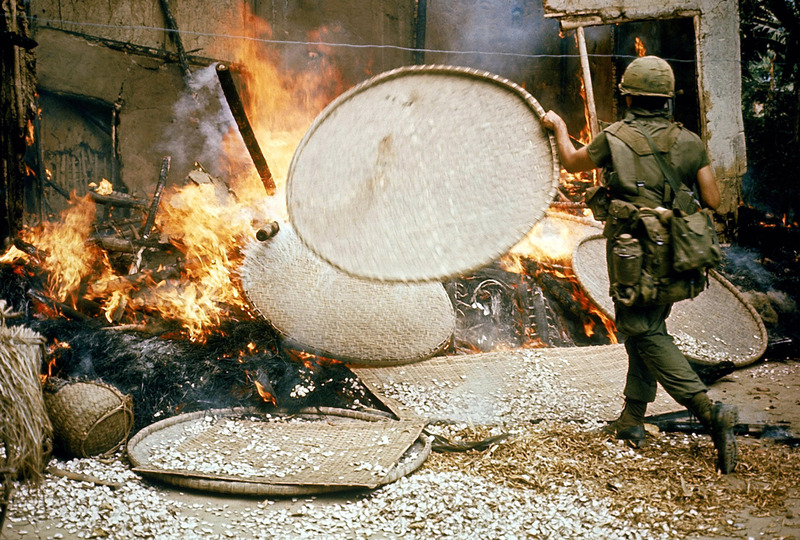 The following gallery showcases a selection of Ron Haeberle's images from the My Lai Massacre as they were used in the Peers investigation. Many of the images are violent and graphic in nature. 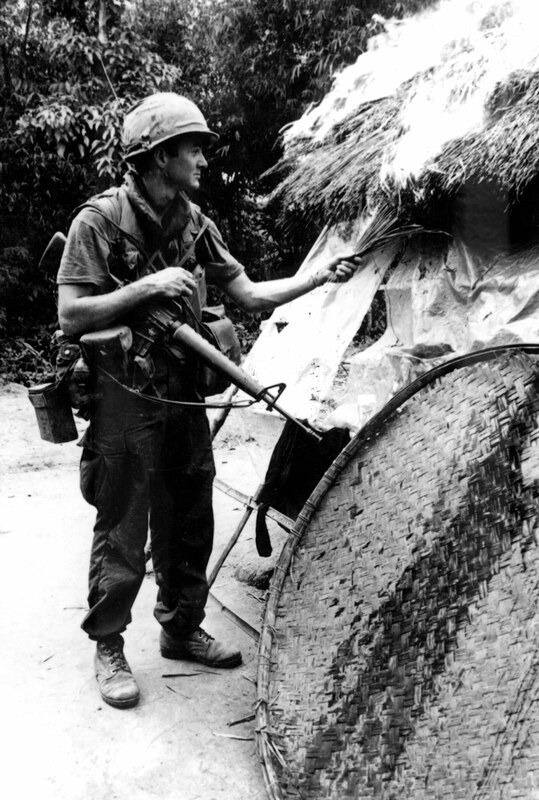 Ron Haeberle was part of the second group of men dropped in the My Lai region, 17 minutes after the first group. At the Peers hearing, Haeberle testified that the soldiers walked in a Southern direction, away from the village, in order to cross a deep ditch before doubling back. Before landing, soldiers had heard conflicting reports on whether the zone was 'hot' with incoming enemy fire or 'cold'. Shortly after taking this shot, Haeberle testified, the group with which he was walking came upon a young man and two girls "pleading for their lives" before being shot. There is no photograph of this event, Haeberle said. 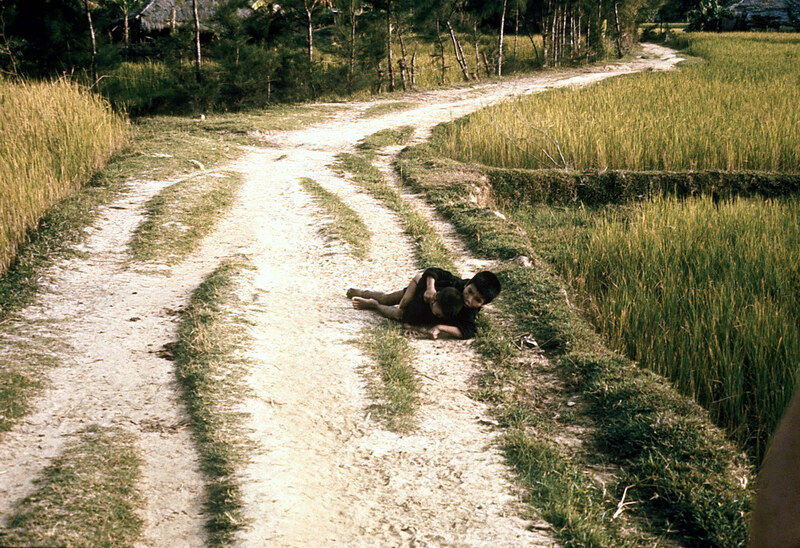 Three Vietnamese bodies lie on the road leading to another town. According to the testimony, this is the area where the group was able to cross the ditch. 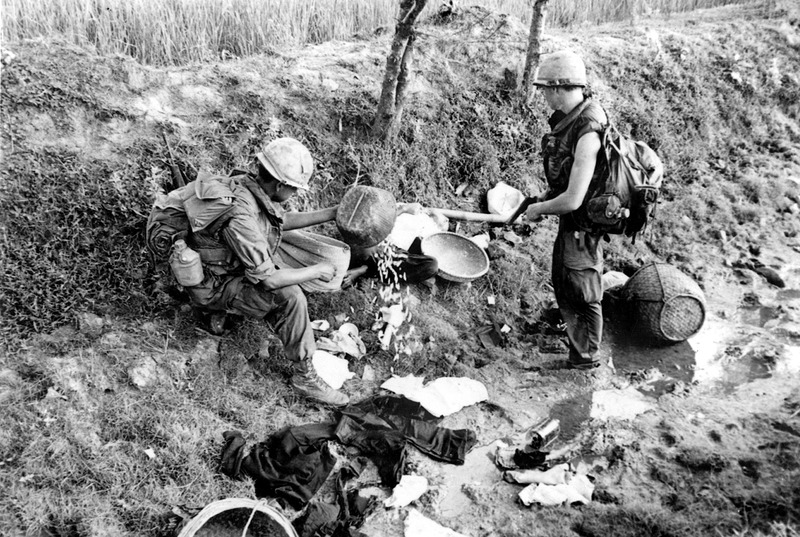 Franklin and Private Wyatt search through belongings for evidence of the Viet Cong. Haeberle photographed the bodies of this man and boy on the road back towards the village. 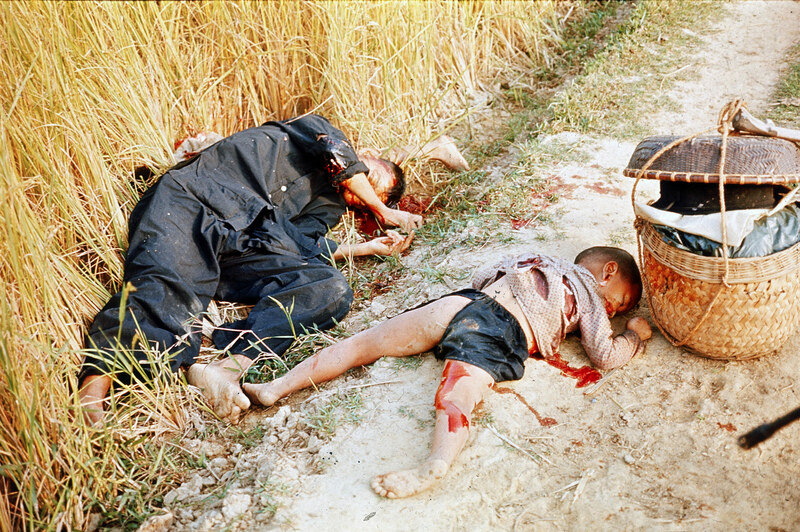 In 2009, Haeberle admitted he had destroyed more graphic photos of My Lai. Haeberle testified that a GI standing next to him shot this boy immediately after this photograph was taken. 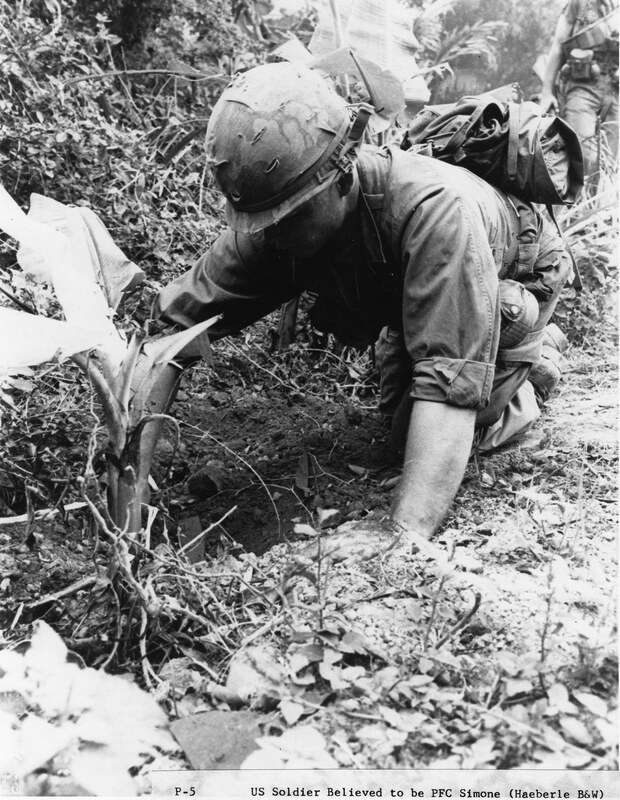 Private First Class Simone digs in the dirt, likely searching for hidden weapons. 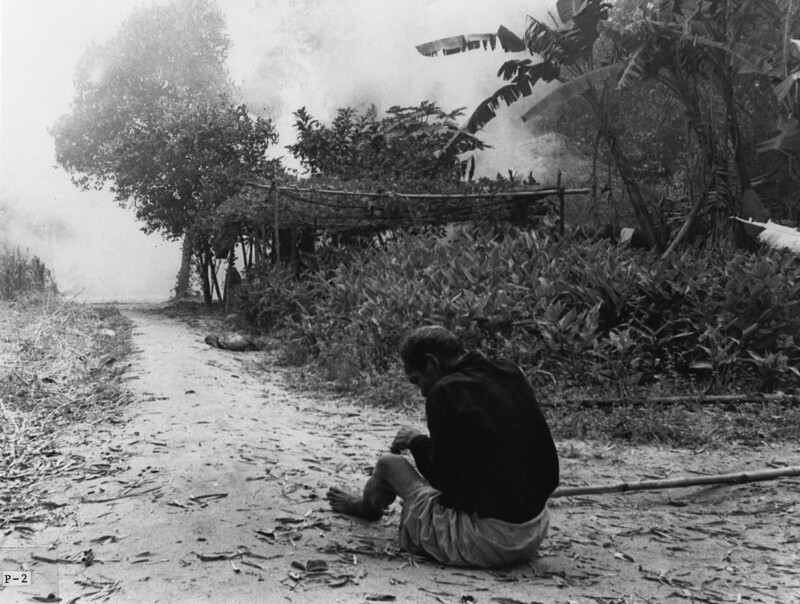 One soldier testified that a local man told him 40 Viet Cong members had spent the previous night in My Lai. 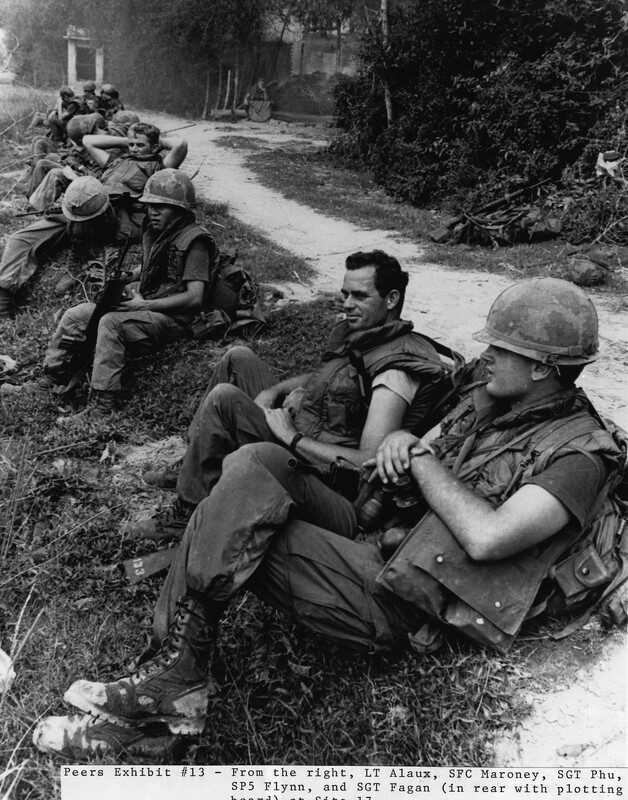 Haeberle's group finally made it to the edge of the village, where other soldiers had already been interrogating Vietnamese citizens. Haeberle testified he did not see what happened to this man and children. 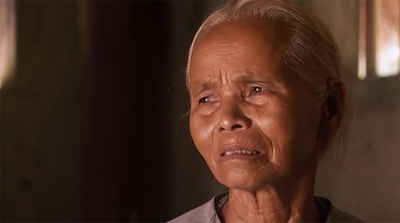 Viet Cong were suspected of hiding inside the homes of elderly people, who would not normally be suspected by U.S. troops. 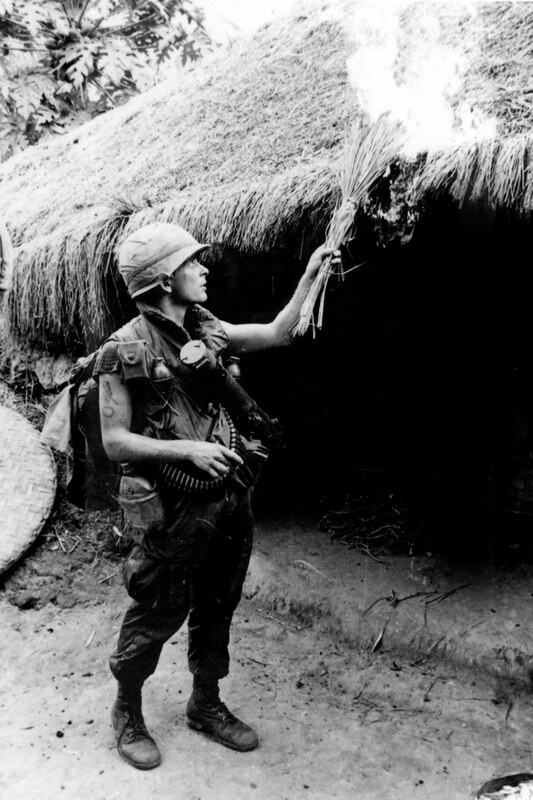 Many of the villagers lived in small thatched huts that solders called hooches. 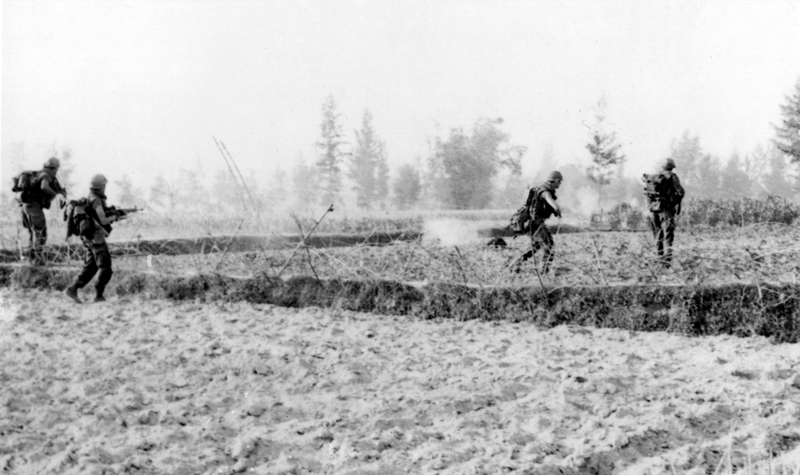 Here, Private First Class Delpone sets fire to one. 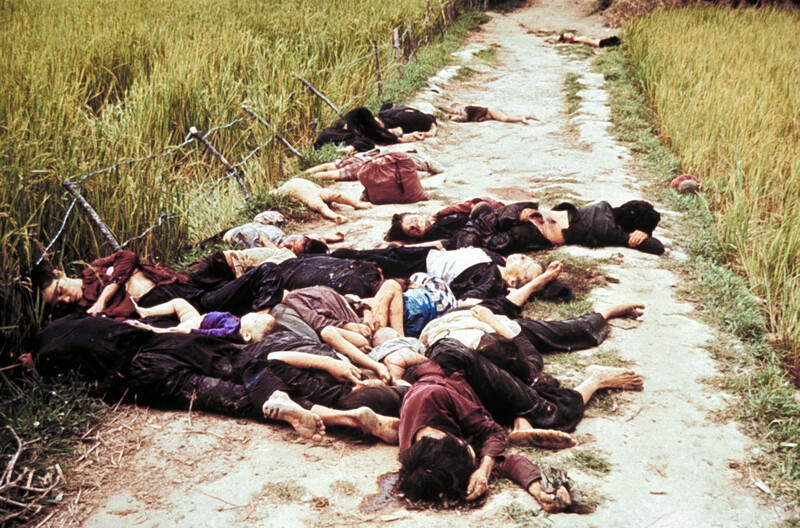 Haeberle testified that in My Lai he took pictures as a reaction. "A photographer training for quite a few years, you react. And I react with a camera and not a rifle." Haeberle carried two cameras with him on March 16. Using black and white film in an Army camera, he was to take pictures of "newsworthy events" that might be published in hometown newspapers. He also had his personal camera, which carried color film. The Peers report found that Captain Medina (not pictured) instructed his men to "burn the houses, kill the livestock, and destroy the crops and foodstuffs." 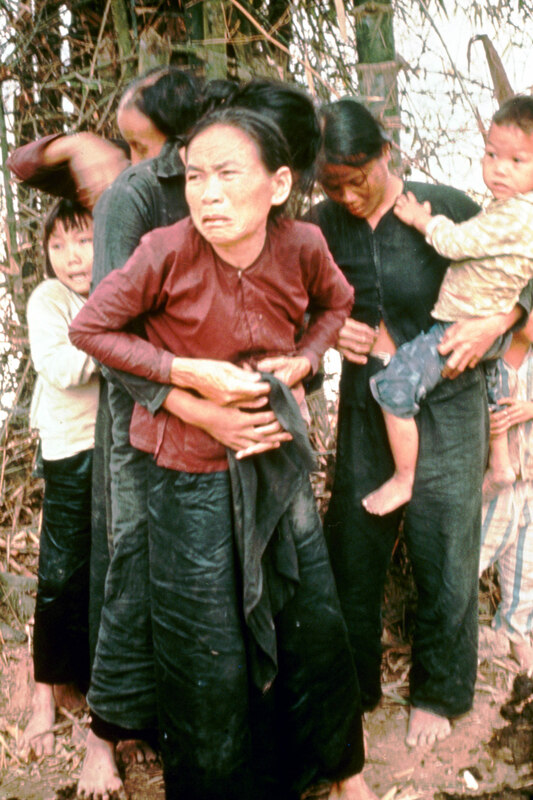 According to the testimony, soldiers gathered these women and children together. After taking this photo Haeberle turned, and heard automatic fire. From the corner of his eye, he saw "all the bodies falling over" before walking away. 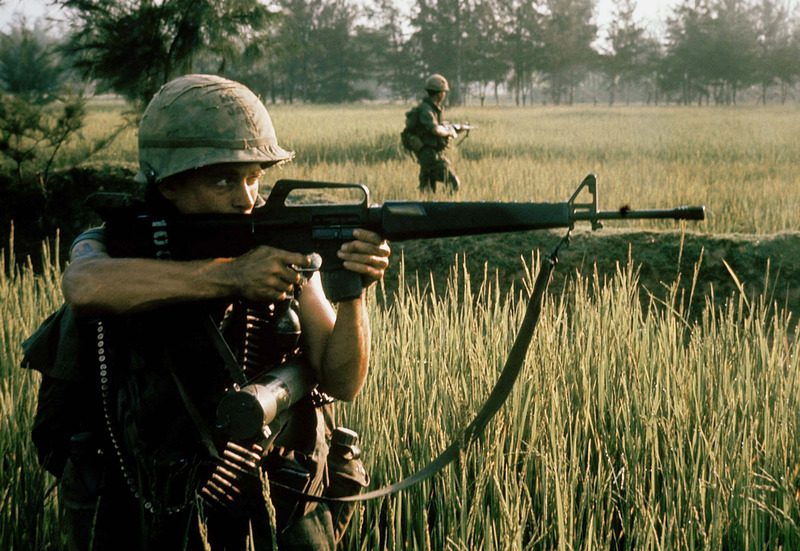 The only American injured in My Lai was Private First Class Carter, wounded by friendly fire. 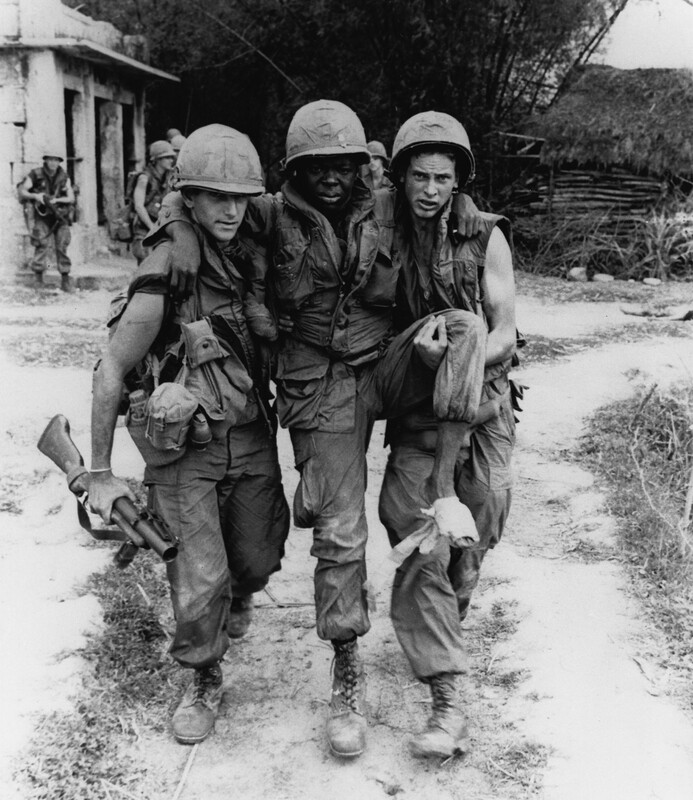 Also pictured are Private First Class Mauro (left) and Specialist Fourth Class Widmer (right). 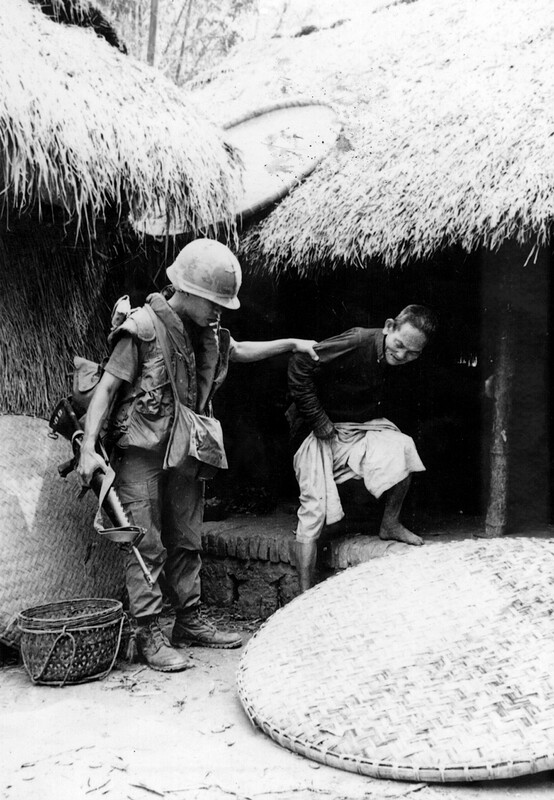 Sergeant Phu, serving as translator, helps an older man out of his house. Haeberle testified that one thing he remembers about this was the man's pants slipping down. The same older man sitting on the ground. Haeberle said after leaving the area, "I did not see him shot. I heard a couple shots. I figured he was shot." After leaving the village, Haeberle testified he came across this group of bodies in the road. "A small child came out ... like he was kneeling down to find his mother, and some GI just finished him." 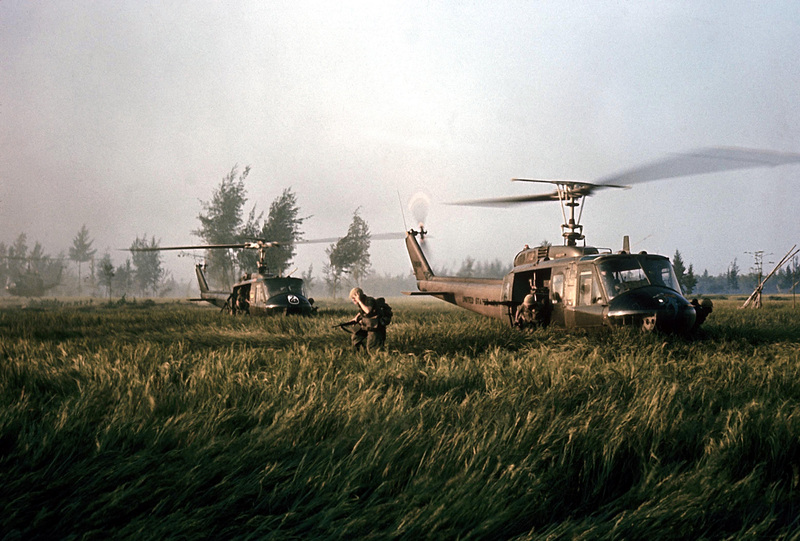 After being in My Lai only a few hours, men rest. This was the last set of pictures Haeberle ever took, according to his testimony. 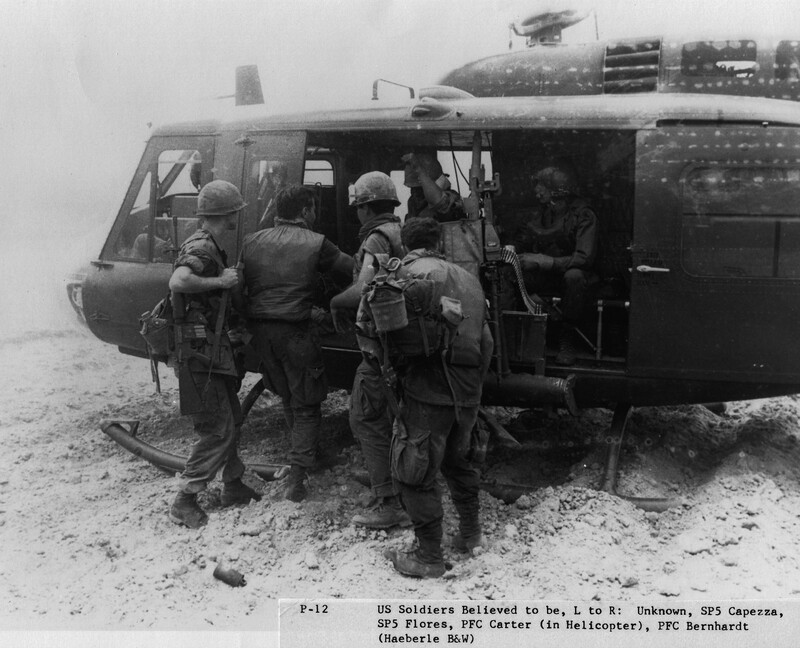 Haeberle left My Lai on the Medevac helicopter with Carter. The rest of Charlie Company went on to another nearby village. 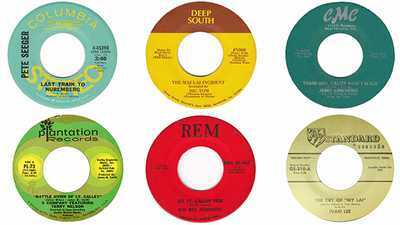 Nearly 100 songs were written about the My Lai Massacre, exposing the raw emotion Americans had about the Vietnam War. 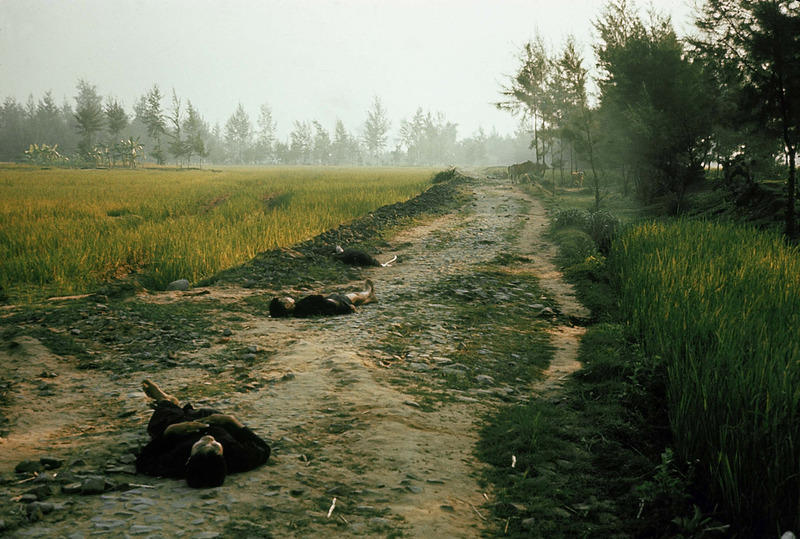 Almost a year before O'Brian's arrival in the same area, a platoon from the American Division had been responsible for the massacre at My Lai. Was the price of winning the war a price worth paying?